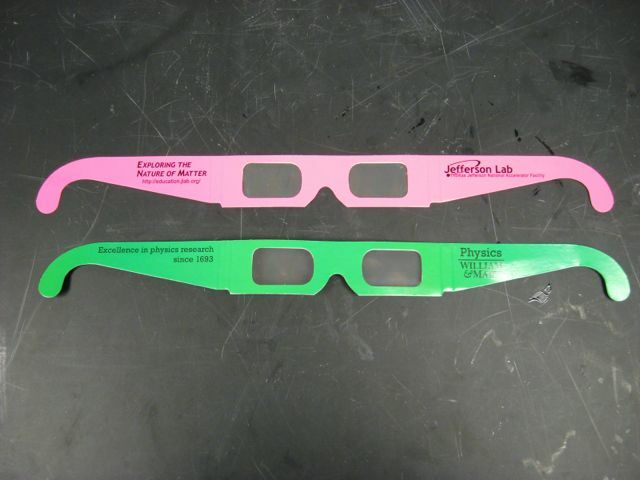 Description: New Blackboard optics kit. The components attached to the blackboard with magnets. The light source can generate five parallel light rays. 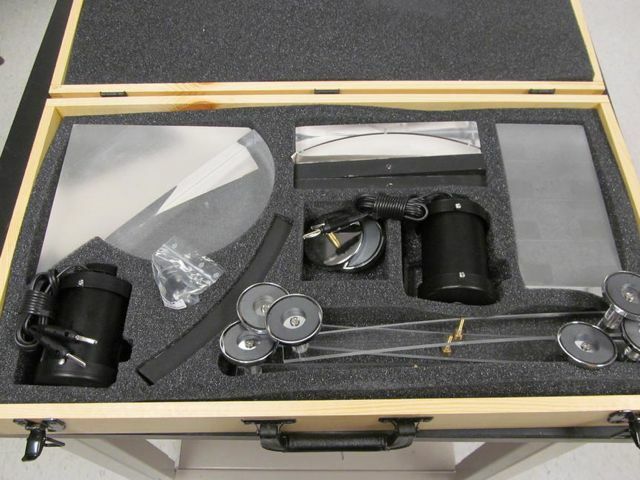 Optical components for demonstrations of refraction, reflection and lenses. 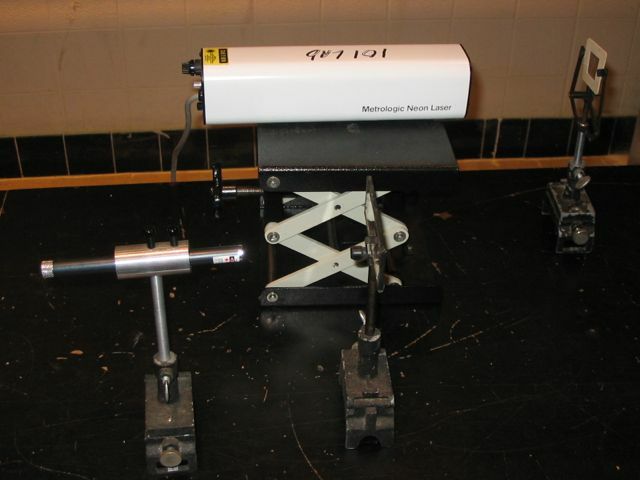 Note we also have a new parallel laser beam projector for use with the optics kit (pictured above). Description: Various single and double slits are available. A red (HeNe) and green laser are available for different wavelengths. 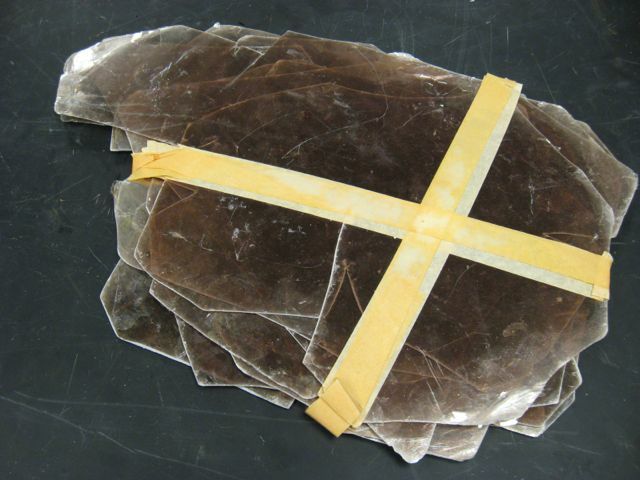 Description: Mica is a birefringent crystal. Description: Various handheld lasers and stands are available. Description: Black light, large strobe light, and handheld strobe light.